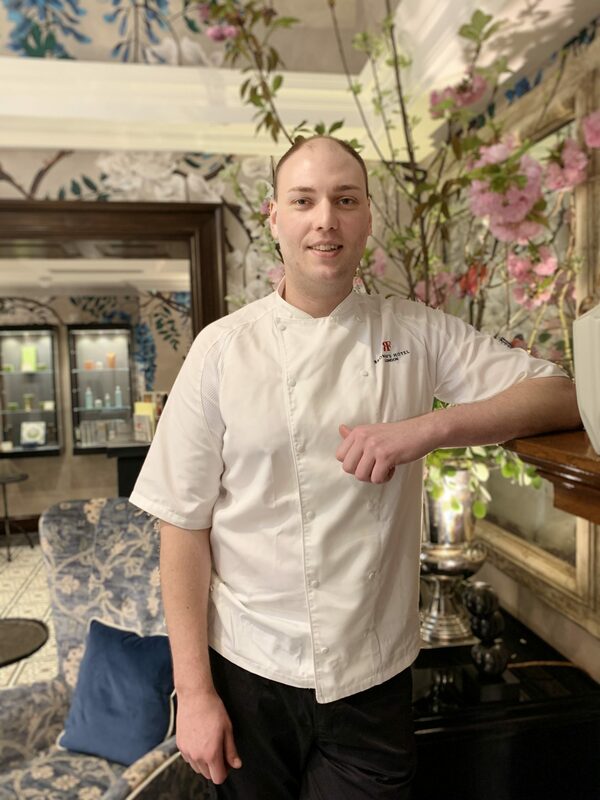 From 2011 to 2014, Collier joined the prestigious British country hotel Stoke Park Hotel and Spa, where he was a protégée for Executive Head Pastry Chef, Chris Wheeler. Over the course of three years, Collier and Wheeler collectively achieved three consecutive rosette awards for the first time in the history of the hotel. In 2014, Collier joined The Grove Hotel. Under the mentorship of Executive Chef Harry Lomas MBE, Collier’s eyes were open to the world of competitions. Here he personally guided over 40 pastry chefs through several National Salon Culinaire competitions, achieving a cache of medals across various high-profile patisserie classes. Whilst mentoring and building his skilled team these challenges, Collier also competed in a number of esteemed competitions including the popular British programme, Bake Off: The Professionals series 1 & 2, where he reached the semi-finals, judged by the industry’s finest, Benoit Blin MCA and Cherish Finden. Collier’s successful streak didn’t end there, in 2017 he competed in the finals of the UK Pastry Open, where he fought to win a place in the UK Pastry Team for the Coupe de Monde de la Pâtisserie. Although missing out on a place on the podium, he was awarded the highest mark for Best Tasting Entremets. After his time at The Grove Hotel, Collier was ready for change and in 2019 he received a call from Mr John McLean, current Hotel Manager at Brown’s Hotel asking him to join the team in London. Located in the heart of Mayfair in the oldest hotel in London and home to the capital’s finest afternoon tea, it is no surprise that Collier wished to join the Rocco Forte family and pay homage to Brown’s heritage and create a legacy to last. Now at Browns Hotel, with Collier’s combined knowledge of traditional patisserie and modern techniques he promises to deliver the finest pastries for guests and the best afternoon tea in London.